Lateral-release: ­It is done to loosen or release the tight lateral ligaments that pull the kneecap from its groove which increase pressure on the cartilage and cause dislocation. In this procedure, the ligaments that tightly hold the kneecap are cut using an arthroscope. Tibia tubercle realignment or transfer: Tibia tubercle is a bony attachment below the patella tendon which sits on the tibia. 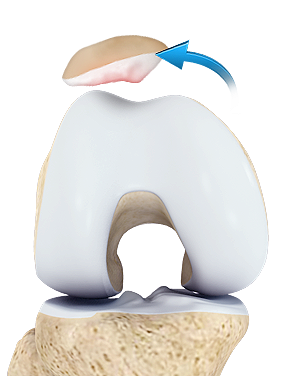 In this procedure, the tibia tubercle is moved towards the center which is then held by two screws. The screws hold the bone in place and allow faster healing and prevent the patella from sliding out of the groove. This procedure is also performed using an arthroscope.